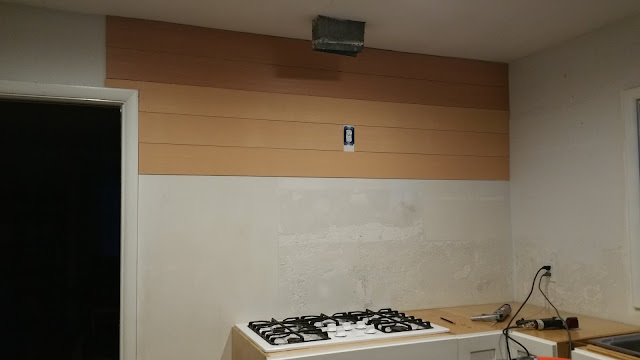 My kitchen has been unfinished since we moved in three years ago. 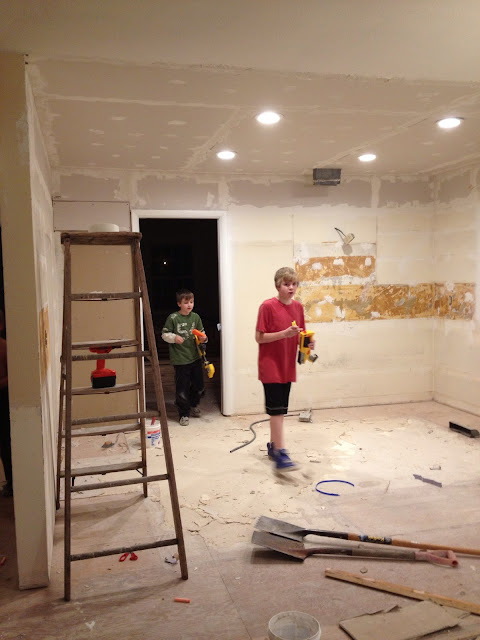 We ripped out the old kitchen that used to be there as soon as we got the house. This is what it looked like. And then it looked like this. We had a very pathetic kitchen for a little while. 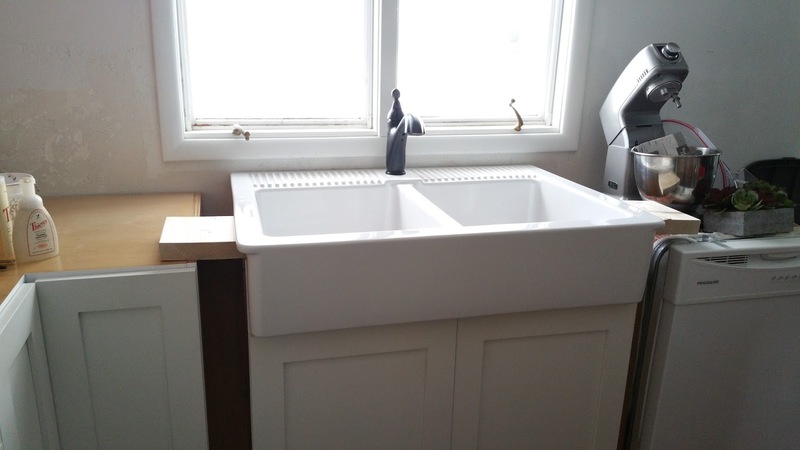 Yes, we had a utility sink in the kitchen. Then we got (some) cabinets! But our sink temporarily rested in our sink cabinet.....for three years. Until I could replace it with this beauty. For the walls and backsplash of our kitchen I had always planned to do beadboard panels. That is, until I came across this blog post from The House of Smiths. I totally fell in love with the look and the affordability of this idea. Plus, I knew I could tackle it by myself! So I went to my local Lowes and purchased 1/4 inch utility grade plywood. I think it was around $13 for a 4x8 foot piece. I bought 4 panels and there was a very kind man there that cut each panel into 6 inch strips lengthwise. (And he didn't even charge me for it!). I also got some liquid nails to use for installing the planks. So, I started with one wall at the top and made sure everything was level. 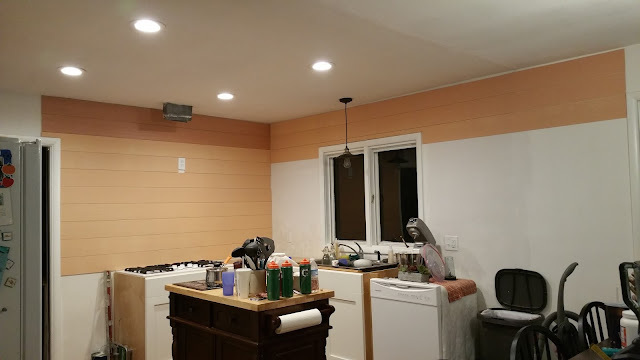 I used the liquid nails and a brad nailer. The plywood is a very peculiar color but I new I would be painting them anyway. 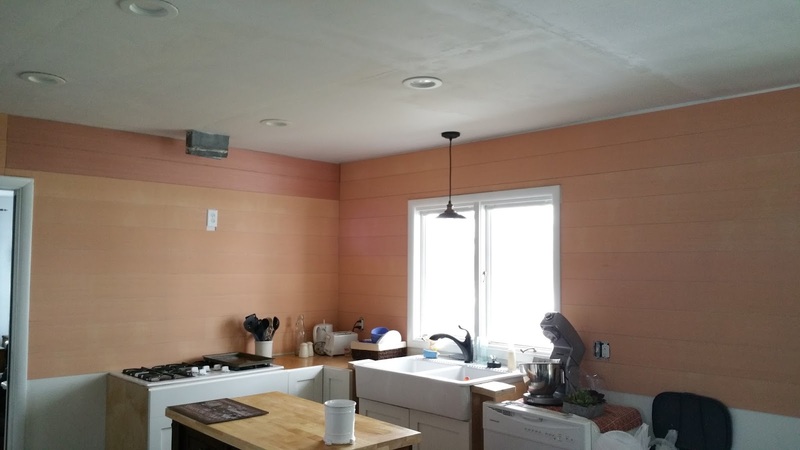 The walls were all torn up from ripping down the laminate backsplash. But they had a coat of white paint over the top. I used two nickels to space out the planks and wanted to make sure the cracks were white also. 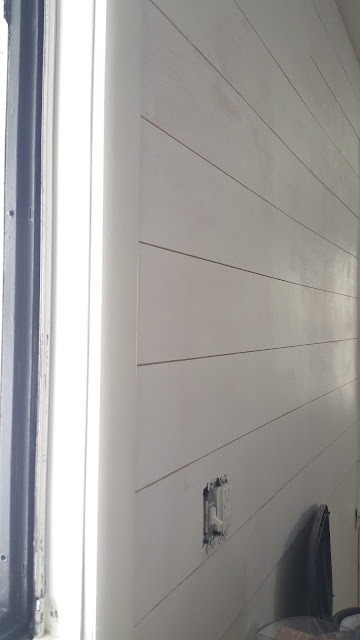 One coat of semi-gloss paint up. I even purchased one more 4x8 sheet so I had enough to carry the planks into the adjoining dining room. Here is a semi-completed photo where I had already started on my next project! Some people call this shiplap but that is not really correct. 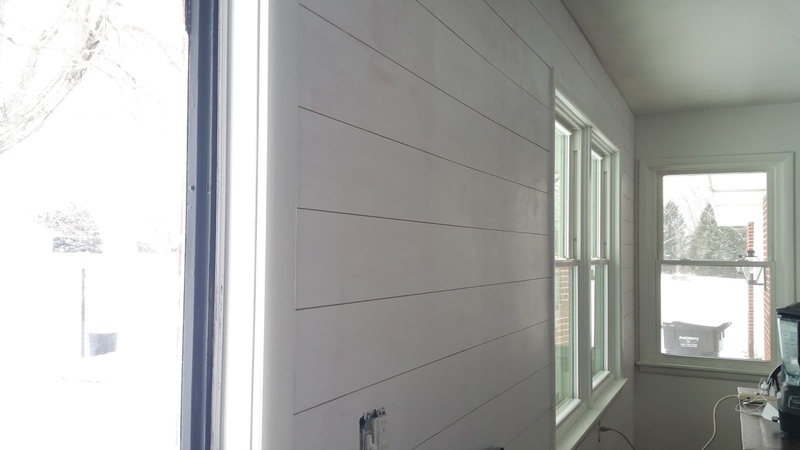 Shiplap actually has a rabbet on each end that creates an overlap on the next board. 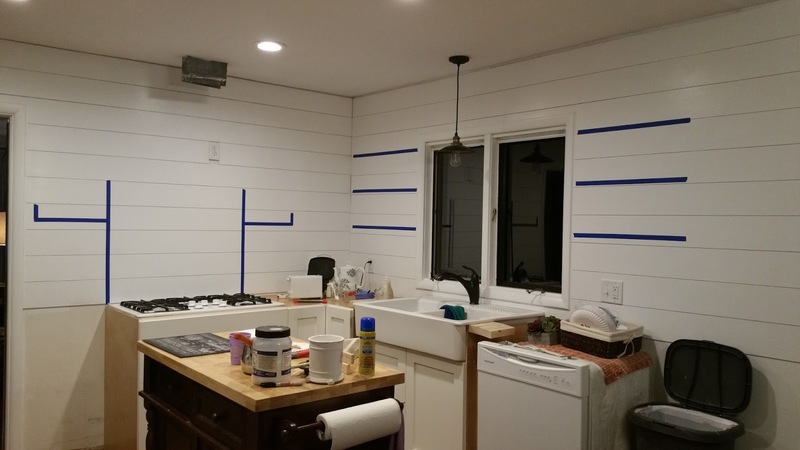 But this is definitely a "shiplap look" and one that I am loving!